The use of advanced technology, of high-quality materials and a functional integration ensure optimum reliability and durability to any test. The arrivals of oil and water, the low pressure fuel lines, as well as the high pressure injection system are integrated to the cylinder block. The cylinder block has been designed without side covers to enhance the rigidity and ensure a low level of noise. 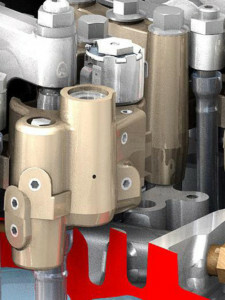 The monobloc cylinder head is equipped with an inlet manifold integrated. The fuel filter and water separator combined are mounted directly on the engine to facilitate maintenance. 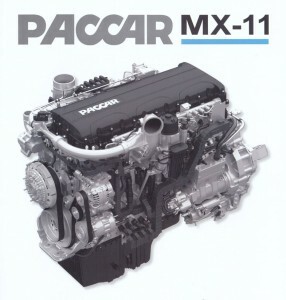 All engines PACCAR MX-13 offer an excellent engine torque at low engine speed and guarantee of very good performance on large speed ranges. The power of the MX Engine Brake proposed in option offers exceptional comfort for the operator on the long slopes. 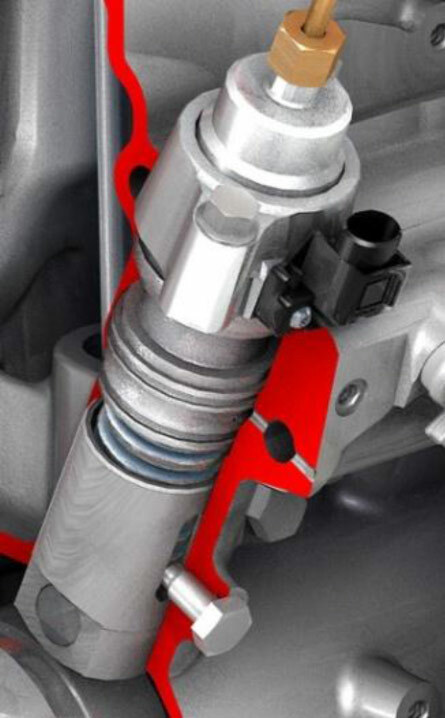 The integration of the MX Engine Brake in the brake control of service has improved the safety of driving and to reduce the wear of the brake linings. A controlled combustion as well as additional technologies to achieve the emission levels extremely low in the standard Euro 6 guarantee a remarkable energy efficiency. The common rail is supplied with fuel using commands of smart metering, in order to guarantee maximum efficiency in putting under pressure only the amount of fuel mixture really necessary. This allows you to limit the more possible hydraulic losses. In order to fulfill the stringent criteria of Euro 6 in terms of polluting emissions, DAF is based on a combination of technologies of post-treatment of exhaust gases, such as a catalytic converter SCR and a soot filter active. The good mixture of exhaust gas allows you to obtain an optimum temperature in the filter to regenerate the soot particles collected. To encourage maximum the passive regeneration, the exhaust manifold and the main components of the exhaust system have all been encapsulated. The catalytic converter SCR also benefits from the high temperature, which allows you to increase its efficiency and to reduce the consumption of AdBlue.